"It was quite quick and simple. 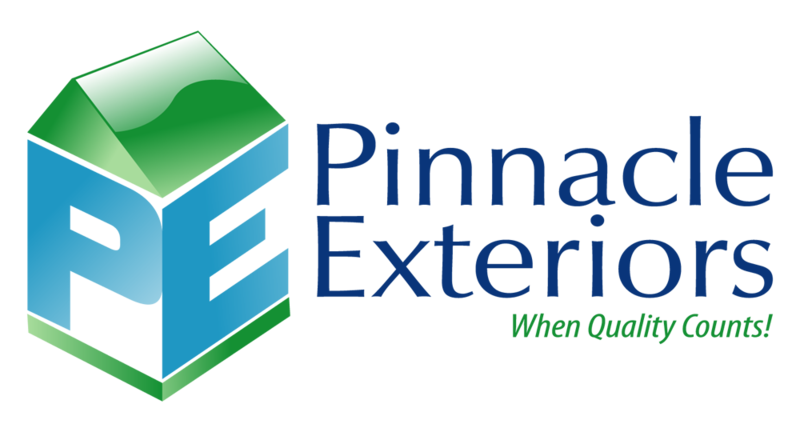 Overall, when the employees from Pinnacle were here doing the roof and even the siding, they were very polite and friendly. They let me know what was going on. They made sure they did a magnet sweep of the driveway before I backed out my car and let it go, they were very conscientious about the details." "The entire process... the employees at Pinnacle were quick to respond, very polite and friendly, and helpful. For the most part the contact was excellent, everyone was fantastic at Pinnacle." "I financed the project... the Pinnacle employees brought me all the paperwork, I filled everything out, gave it to them, and they quickly got approvals and let me know the status of everything. It was quite quick and simple." "Overall, when the employees from Pinnacle were here doing the roof and even the siding, they were very polite and friendly. They let me know what was going on." "They made sure they did a magnet sweep of the driveway before I backed out my car and let it go, they were very conscientious about the details." "There was really no mess, the Pinnacle crew pretty much cleaned up as they went. Even at the very end of the project, when they finished the siding, the only thing left was some boxes and stuff, which they called me that afternoon saying we'll be back tomorrow to pick up the last bit; everything was neatly stacked, and they came back and picked it up when they said they would." "I had Pinnacle put a roof on my two story barn, a roof on my one car garage, and then I had them put the siding on the one car garage, and the siding on another building I have that's a storage building, and then I had them put the soffit on the large two story barn." "I found Pinnacle on the internet. I saw it two different ways, because I saw it on Angie's List with several others, and then I was just doing a Google search for different siding places. Between what I read on Angie's List and what I found Googling is why I ended up contacting Pinnacle." See what other customers from Bethlehem say about us!